No, not that kind of whistle blower! I admit it. I watch way too many English Premier League football matches. 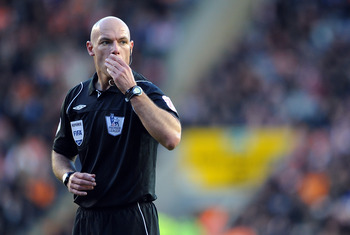 In the photo above, referee Howard Webb is seen blowing his whistle to start a match. Webb is a very accomplished referee, having taken charge of the 2010 World Cup Final between Holland and Spain. I am not sure what Howard Webb’s whistle of choice is, but mine is made on our shores of course. The American Whistle Corporation has been making whistles since 1956 in Columbus, Ohio. The members of our extended American family who make whistles in Columbus, Ohio use brass for their whistles, then plate them with nickel. Refs aren’t the only people who need whistles. Whistles are a great item to have on boats, cars or even in your coat if you need to signal that you need help. 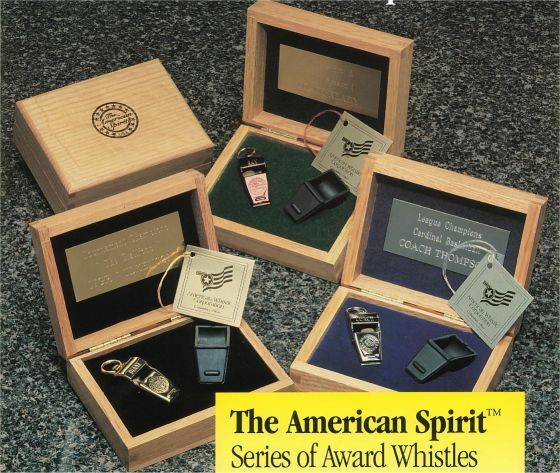 The default American Whistle Corporation whistle, the American Classic, comes with the American Classic logo. 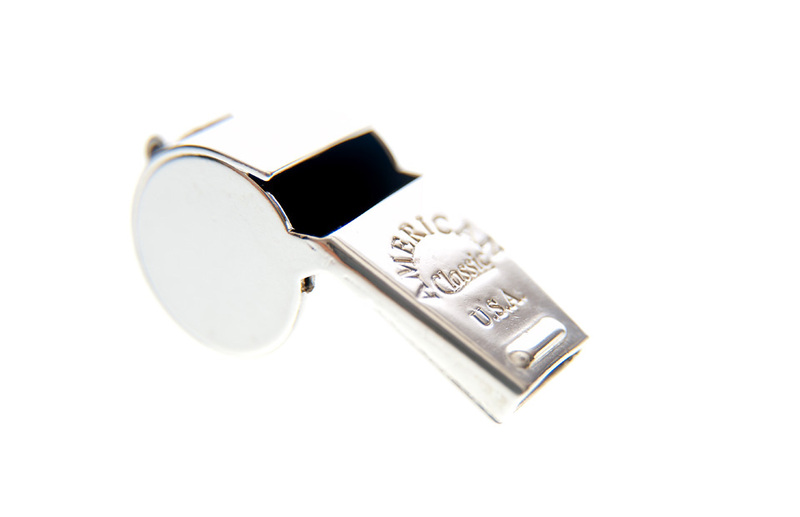 But you can get a whistle as unique as you are from the American Whistle Corporation. So I plan on writing Howard Webb and trying to get him to start using an American Whistle Corporation whistle next season. I am sure it would sound sweeter than an English-made whistle. The sweetest sound of course would be to hear Webb blowing on his American Whistle Corporation whistle at the end of the next year’s Champions League Final when the trophy is won by Tottenham Hotspur, my favorite English Football team. This entry was posted in american made, Made in America, made in usa and tagged American made whistle, American Whistle Corporation, Howard Webb, Made in America, made in usa, Premier League, U.S. made whistle. Bookmark the permalink.